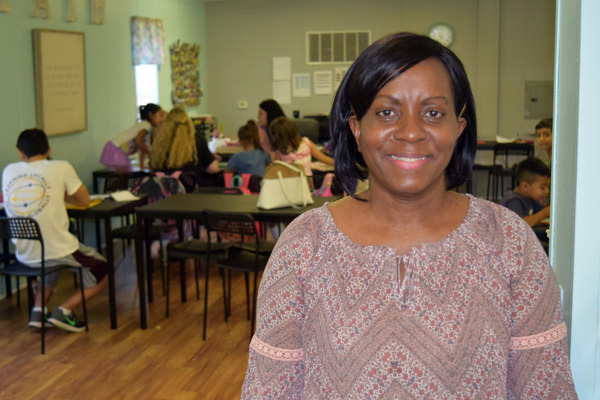 Dr. Annmarie Jackson, assistant professor of education at UNG, started the Casper Drive Mobile Literacy Program in Gainesville, Georgia. 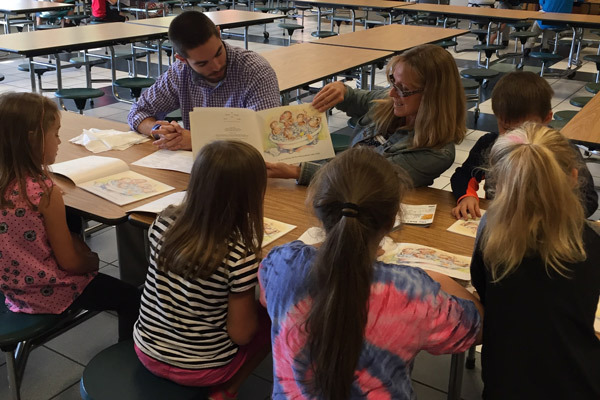 Every Tuesday and Thursday, about 30 children in kindergarten through fifth grade from Riverbend Elementary are helped with their reading skills by UNG students and community volunteers. 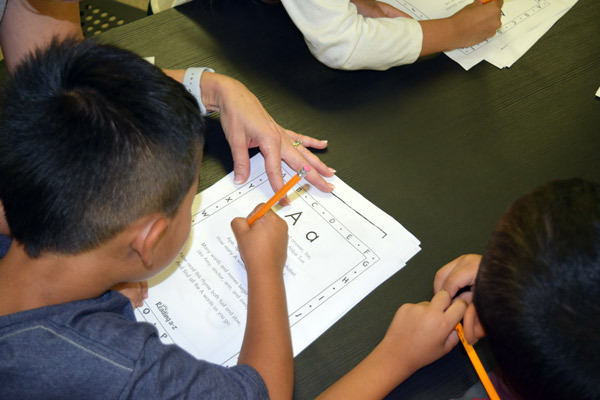 Inside a refurbished commercial-sized trailer, Dr. Annmarie Jackson sits among five kindergarten-age elementary school children and asks in a firm but friendly voice what words start with the letter "A." The University of North Georgia (UNG) assistant professor of education then points to a piece of paper with pictures of an apple, an ant and an apron. And the children attentively repeat after her. "Apple," "ant" and "apron." This scene and similar ones like it repeat themselves every Tuesday and Thursday at the Casper Drive Mobile Literacy Program in Gainesville, Georgia. About 30 children in kindergarten through fifth grade from Riverbend Elementary are enrolled in the program implemented by Jackson. 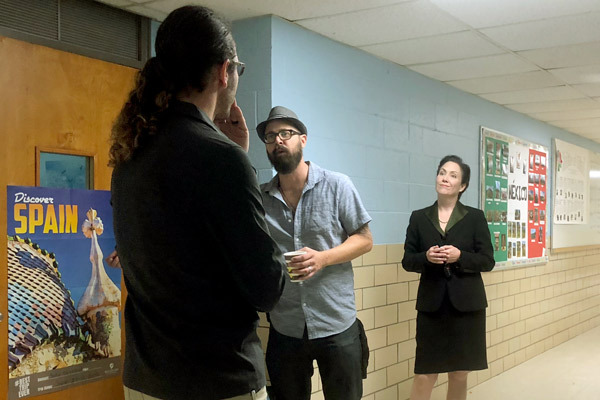 She based the program on similar ones that she previously participated in at Central Connecticut State University in New Britain, Connecticut. About 30 children in kindergarten through fifth grade from Riverbend Elementary are enrolled in the Casper Drive Mobile Literacy Program in Gainesville, Georgia. The program's goal is to help the children read closer to their grade level. "Many of the children are reading below grade level," said Jackson, who mainly teaches literacy courses at UNG. 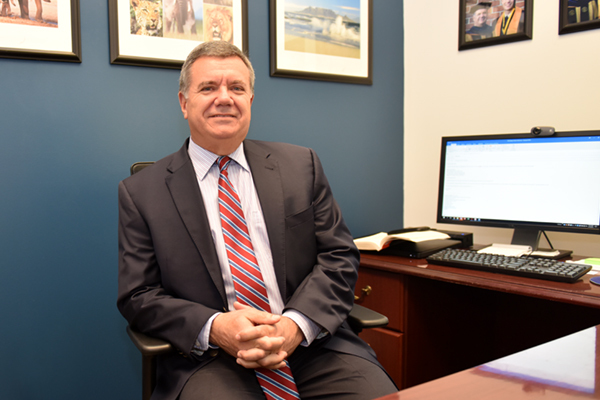 "The goal is to get them as close as possible to read on grade level, and eventually develop a love for reading and become a lifelong learner." Helping Jackson achieve this goal are a handful of UNG faculty members and students plus community members who volunteer their time twice a week. About a month into the semester, the Casper Drive Mobile Literacy Program seems to be working. Jackson said they can always use extra help. To volunteer, contact Jackson at 678-717-2367.